Watching IT reminded me of what it was like to be a child. To be both fearful of the world and awed by it. If you’re planning on seeing the new iteration of IT, take some time beforehand to brush up on the story. Watch the mini-series or read the book again. Reacquainting yourself with the story reminds you that it isn’t a scary story about a killer clown and a ragtag group of kids who defeat him. It’s about surviving childhood, dealing with trauma, and living in a world where children’s pleas for help go unnoticed, or ignored. When I watched the mini-series for the first time, I was struck by this. I was new to Stephen King’s work, having previously read only the Dark Tower books, some short story collections, and a few of his thrillers, such as Dead Zone. I had never peered into the darkest corners of his world, although I’d always been curious about the clown. Once I saw the trailer for the new film (or at least the first instalment of it – we’re getting a duo from Warner Brothers), I had to see the “original” and read the book to see what was going on beneath the surface. 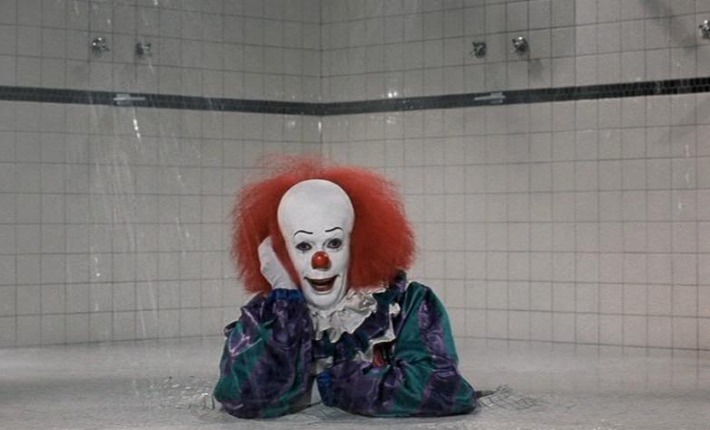 I settled in to watch Tim Curry’s performance and became enthralled by the rest of the tale. I, and I’m sure many of us, can identify with children who have undergone trauma and lived to tell about it (though not many people are willing to listen). One of the main points of King’s IT is that adults can be, and often are, the monsters in our childhood worlds. The problem is, as we grow older, we have the potential to become monsters as well, whether we’re hurting others or ourselves. The town of Derry, Maine and the adults living in it were more terrifying than anything the children saw down in the sewers (and in a way, it’s all connected – the confrontation with IT can be seen as a metaphor for dealing with childhood trauma). And what happens to us in childhood so often follows us the rest of our lives. Watching IT reminded me of what it was like to be a child. To be both fearful of the world and awed by it. To be unaware of how the world worked and at the same time, instinctively know when things were awry, even if I couldn’t always articulate it to someone. It reminded me how important it is to listen to children and take their fears seriously, like I wish someone would have when I was small. Is Boss Baby A Morality Tale For Adults? K.M. Cone has been writing about culture and entertainment since 2012. A degree in Communications and diploma in Acting have only furthered K.M. 's passion for clear, concise discourse, integrity, and a kind spirit. If you need a safe space in which to tell your story, CultureMass and K.M. Cone are here to listen.